Fremont, California, USA, October 26, 2009 – Patriot Memory, a global pioneer in high-performance memory, NAND flash and computer technology, today announced the release of their new high capacity Class 10 SDHC cards, the LX Series. Engineered to support the SD Association’s new Class 10 specification, the LX will provide dramatic performance improvements in today’s new digital devices. 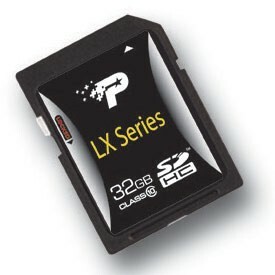 Never before have camera enthusiasts been able to capture high speed, sequential images; previously, those shots were lost due to the limitations of the preceding generation of SDHC cards. Patriot’s LX Series allows for increased storage and more pictures per second. In addition to the cutting edge improvement on continuous photo taking, the high speed transfer rate of Class 10 also makes video recording in high resolution an option that video enthusiasts can appreciate.